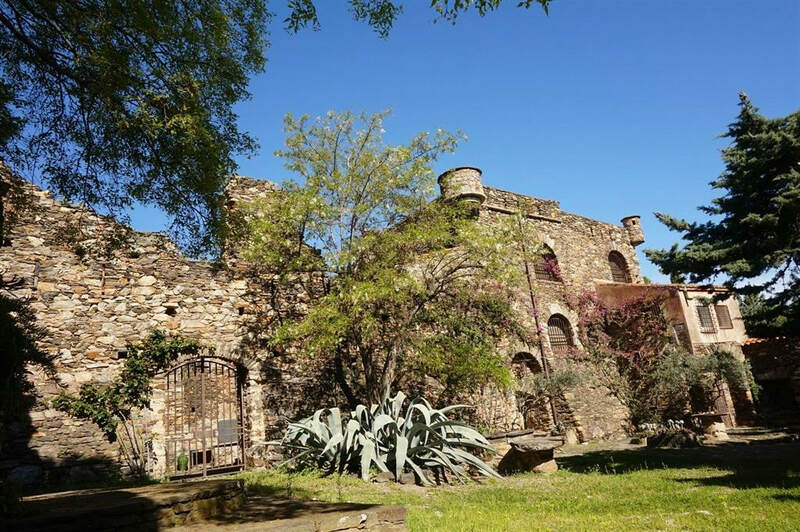 These 2 stone buildings are like small castles on a plot of 4400m² with a charming patio, terraces, a pine grove and vineyard, overlooking the sea and countryside. The small 100m² "mas" is made up of a living/dining-room with an open-plan kitchen, 2 bedrooms, a shower room and two pleasant terraces. The large 230m² "mas" requires renovation but currently comprises a living/dining-room, kitchen, 2 bedrooms, a shower room and a bathroom, a magnificent vaulted room as well as a workshop and a roof terrace with a panoramic view. This property is in a calm and sheltered location, but is by no means isolated, making it an ideal year-round home, or a perfect holiday residence. Very rare - in the right hands, this could be a truly magnificent property.